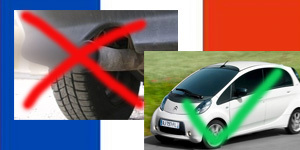 France, India, Argentina, Charge Automotive, Tesla, Nissan. Total recall in France: The new French government wants to ban all sales of ICEs by 2040 in a bid to meet its targets from the Paris Climate Accord, COP21. Nicolas Hulot, France’s new ecology minister, called the move a “veritable revolution” and a question of public health. Overall, the Macron government’s policy platform on climate change is deemed to be more ambitious than its predecessors. However, other European countries like Norway want an end to gas guzzlers as early as 2025 and even la grande car nation Germany has had a proposal aiming at 2030 followed by the Dutch by 2035. India is on course to clean its act by 2030 and that includes hybrid cars for which taxes have just been raised, while those for EVs fell at the same time. The amended Goods and Services Tax (GST) now charges 43 per cent tax rates for hybrid cars, up from below 31% earlier. Electric cars, on the other hand, will be charged only 12% tax, against 20.5% before. Also Argentina introduces EV tax benefits but applies them to hybrids and PHEVs as well over the next three years. This means little to no import taxes on electrified vehicles although only for those importers that operate production plants in the country like Toyota, Ford, GM, Renault, Nissan, and VW. The UK’s first electric truck factory will open in Oxfordshire, after Charge Automotive signed a 15-year lease on a site in Banbury Cross. The company will start with lighter models first and hopes to assemble a truck in just four hours. Also pricing shall be accessible and in line with conventional vans. Tesla’s last crash test did not result in an extra good rating as the dummy hit its head too hard on the steering wheel of the Model S. Still, the IIHS rated its as “acceptable” and all other categories got top grades. Another crash for Tesla happened at the stock market, where shares lost 20 percent compared to their all-time high in June due to low deliveries this Q2 (we reported). Self-parking Leaf: Nissan gives away another feature of its upcoming Leaf, the Pro Pilot Park function that sees the EV suits itself into any space. The video is a well-made illustration but not the real thing yet.